The news of free upgrade to Windows 10 from Windows 7/8/8.1 in one year urges users to experience this new greatly-improved operation system. But some video lovers are in trouble of converting AVI, MPEG, and other HD video on Windows 10 well with free video converters. Since most of current free video converters are seemingly incompatible with Windows 10. Here, I will introduce a top 3 Free Windows 10 Video Converter review 10 to help those in needs transcoding standard videos (MP4/AVI/WMV/MPEG), HD videos (MKV/MTS/MOD/TOD), and 4K videos on Windows 10. To be honest, free video converting software is preferred choice to convert one kind of video format (like an AVI, MPG, MOV, etc.) into another. According to most users’ requirements, the best free Windows 10 video converter must be able to encode mainstream/popular videos, for example MP4, AVI, WMV, MOV and even convert HD/4K videos on Windows 10 speedily and deliver a great quality of images and audios. Tip: And at the same time, Pavtube studio also announces the upgrade version with more function. Upgrade now with 20% OFF. Full Disk Copy: DVD users can 1:1 backup of DVD with original structure and chapter marks preserved and use it to create ISO files or DVD discs. Directly Copy: DVD collectors can backup the intact main movie of DVD removing menu and some promotional clips, which is helpful to save DVD in smaller size and enjoy DVD movies with less time. Output MP4 files: Clients can put it onto many popular portable devices, like iPad, iPhone, Samsung Tablets, Nexus devices, etc, to carry them anywhere. On the long way to go to work or on boring railway in travel, watching a favorite DVD movie is the best way to kill time. Conversion to various editing software: Clients can choose to output to Sony Vegas, Adobe Premiere for editing. Any Video Converter takes videos from your computer or downloaded from the Internet and converts them into just about any format you’d like. Just import the video, pick your preferred format, and hit convert, and you’re ready to transfer that video to your mobile device. It also enables users to crop videos, add effects (rotation/watermark) and subtitles for videos. Stubborn adware (AVG PC TuneUP) bundled with Any Video Converter Deluxe will be stealthily installed on your computer unless you customize installation. HandBrake is a widely used royalty-free DVD/video converter for multi-platforms (Windows, Mac, Linux) available to convert video to MP4, MKV and iPhone, iPad, Apple TV, Android, Windows Phone 8 from nearly any formats. It offers adjustable video/audio parameters (bitrate, framerate, codec and channel) to let users to customize video to get a perfect result as possible. Like the other two best free video converters for Windows 10, it can crop videos and add subtitles for videos. 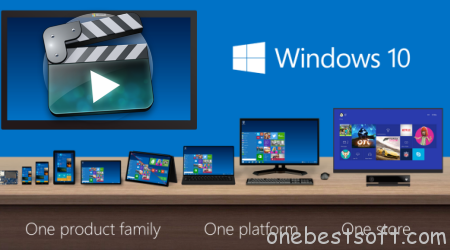 Thought all the three video converters can help us convert any SD/HD/4K videos on Windows 10 without a hitch, it seems that Pavtube Free Video DVD Converter Ultimate is the best free Windows 10 video converter to meet various demands on conversion and it is 100% clean and safe without messing up your computer during converting.